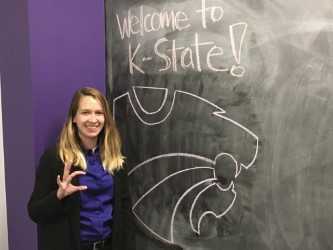 The Center for Social Studies at K-State is offering a free professional development program for Kansas’ civics and government teachers wanting to provide an exemplary curricular program for their students. The James Madison Legacy Project is part of a nationwide professional development program directed by the Center for Civic Education, a nonprofit educational organization that was recently awarded a federal grant under the U.S. Department of Education’s Supporting Effective Educator Development, or SEED, grant program. The legacy project is designed to provide professional development for middle and high school teachers in civics and government focusing on the Declaration of Independence, U.S. Constitution, Bill of Rights and the rights and responsibilities of citizens. Thomas S. Vontz, professor and director of the Center for Social Studies at K-State and “We the People” state co-coordinator, believes highly effective civics and government teachers are the key to inspiring the next generation of Americans. For more information, contact Vontz at tvontz@ksu.edu or call (785) 532.5927.